Enthusiasm and determination with a healthy dose of entrepreneurial vision that is enhanced by rapid strides in technology has provided the platform for young Indians to become the makers of a new India. Millions of young Indians are entering the workforce annually with a continually major shift from rural to urban areas, and a burgeoning middle class with demands and expectations of quality health and education, further increasing the dependence on sustainable, viable, and continuous growth. Clearly, India is at a delicate juncture where the new generation of policymakers must take responsibility to work adeptly in tandem with industrialists, academicians, and the common man to form impactful policies. 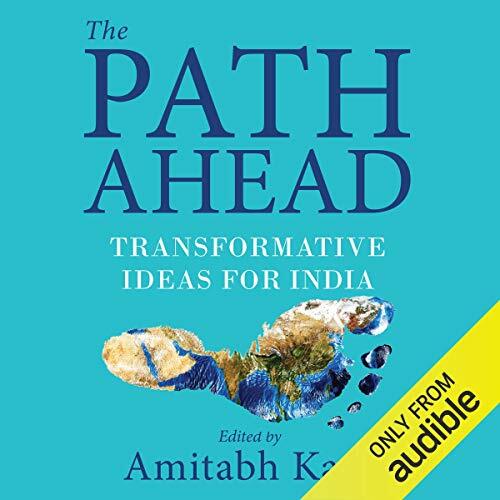 The Path Ahead: Transformative Ideas for India is reflective of this collaborative effort that borrows from the very essence of working in tandem to have meaningful discourses. This book, which brings together a rare combination of industry executives, domain thought leaders, and government officials, highlights the challenges and possible solutions for key sectors that are the cornerstone for India’s future growth. Each of the authors is a leader in their own right, and has been a key contributor to the India’s growth story. Their cutting-edge, unique, and focused ideas symbolize the best strategies to promote a particular sector vital for sustainable growth. This crucial compilation is a ready reference for not just young minds, but can also inspire future leaders of this great country on its journey to becoming a global powerhouse. ©2018 Amitabh Kant (P)2019 Audible, Inc.